January is a month for focusing specifically on resolutions made to kick-start the new year. This January 2019 our provider team is going from week to week intentionally resolving to do small things to improve our health, wellness, and lives. 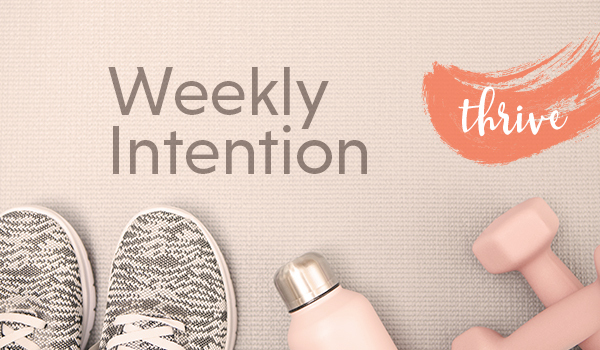 Join us by following along in our weekly intentions and share what you’re doing on social media! We’re here to support you, so let us know how we can help you with your resolutions and health and wellness goals. Our intention this week is to try something new every day for 7 days! Our intention this week is to meditate for 5 minutes each day! Our intention this week is to find a way to share our gratitude each day with someone we are grateful for! Kendall Hagensen (MA, LMHCA, R-DMT) is a Somatic or Body-Oriented Mental Health Therapist and trained in EMDR, which means that she utilizes our innate mind-body connection as a tool in counseling. She specializes in, and is passionate about, working with adults of all ages living with Chronic Pain and Medical Illnesses. These almost always have a psychological component, whether it be a new diagnosis or chronic condition. Using EMDR, body awareness, breath-work, movement, as well as talk therapy, Kendall works with clients to manage pain and develop a healthy relationship with their illness. Kendall’s practice expertise also includes anxiety and stress management, depression, and career issues.